"Plagiarism is making us crazy. No, the mere thought of plagiarism is making us crazy. Collectively, as a professoriate, we're obsessed with it." Today I created a Google Spreadsheet and used the CONCATENATE function to create or build the email address I needed for each student’s cell phone number. This Google Help page explains how the function works. The formula is shown below. 26 Interesting Ways* to use Google+ to Support ... - "Google Docs"
An award-winning source for standards-based classroom resources in science, technology and engineering, from NOVA and other public television series. My motivation for hacking was all about the intellectual challenge, the seduction of adventure, and, most importantly, the pursuit of knowledge," he says. "I just wanted to learn everything there was." Meredith Perry turned 22 this month. She just graduated from college and started a new company built around a technology she recently invented. She's self-taught by reading online, mostly Wikipedia. It’s up to learning experience designers and developers, as well as trainers, educators and instructors to move us toward a more enlightened path that meets the needs of learners in today’s world. I’m voting that these four big ideas can propel us forward, hopefully sooner rather than later. UMASS Dartmouth did research on social media and admissions. Below is an outline I’m beginning to compile of things to share. My overall goal is to sell them on the power of connections and reasons to build a PLN. Search Tips - "Google Docs"
Description: There are so many innovative ways to use Google Earth with your students. Come learn about some projects teachers are using in their classrooms. We will also do a beginner's tutorial on how to get started with Google Earth. 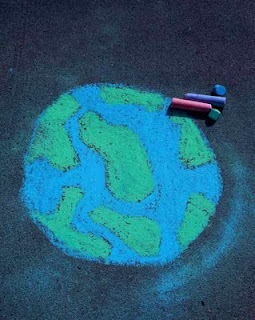 If you would like to contribute how you are using Google Earth in your classroom, please add to this document. I hope you find it useful. Here is the resource page. Description: Using the internet for searching can be a remarkable research tool for students. However. they often can use your assistance when encountering information overload. Come learn about strategies that will help your students become crack researchers. Here is the resource page. iWebKit is a file package designed to help you create your own iPhone, iPod Touch and iPad compatible website or webapp. The kit is accessible to anyone even people with little html knowledge and is simple to understand thanks to the included user guide. In a couple of minutes you will have created a profesional looking website. iWebKit is thee framework of choice because it is very easy to use, it loads extremely fast, is compatible with all devices &amp; extendable. It is simple html that anyone can edit contrary to some other complicated solutions based on ajax. Really good example of how a public policy could be introduced. The 2011 Massachusetts New Literacies Institute is a collaborative project with the Massachusetts Department of Elementary and Secondary Education (DESE), the Lower Pioneer Valley Educational Collaborative (LPVEC), and the West Springfield Public Schools. The MA DESE awarded the grant funding to the LPVEC and West Springfield Public Schools through the ARRA Title IID Technology Program. This Institute will focus on helping Massachusetts educators prepare students for the online literacy skills required in the 21st century. Ask most people what comes to mind when they think about “kids today”. If you’ve sampled the literature about Gen Y or The Millennials, you’re likely to hear that kids today are over-corrected, entitled, arrogant, irresponsible, directionless, and apathetic. With twitter-sized attention spans—these kids lack values, character, and basic civility. They have been labeled, tagged, earmarked, and characterized in a multiplicity of ways, but nothing sets them apart more from other generations than the fact that kids of today are most certainly unlike any other generation of kids we have known. As a veteran educator, parent, and mentor; I couldn’t agree more. Kids today aren’t like they used to be, and I’ve never been more proud or excited to share with you why. iPads in Education - Exploring the use of iPads and Tablet computers in education. I work with teachers who use technology to support their classroom instruction. 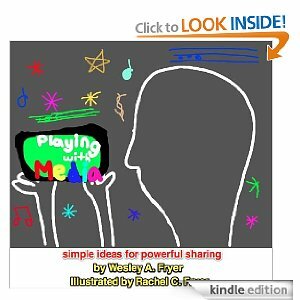 Wes Fryer's new e-book, Playing with Media, has arrived just in time for school to start. Remember "make and take" workshops? This is it for the digital classroom. It is exactly the kind of book that should accompany any teacher workshop or training because it supports great teaching. It will be an invaluable resource all year long. It is relevant to any classroom in both pedagogy and instruction. The book is presented in a succinct, understandable manner. There are tools, explained with clear directions and graphics; big ideas, and follow up reading. Taken together, these will have a profound impact on any classroom. Everything is clickable. And the fact that's it's an ebook means that Wes will keep it up to date. The more I read through and listened, the more excited I got. Not only did I learn many little tips and tricks, the reminder that we must keep creativity in our curriculum is ever present. I also enjoyed how Wes used his own children as models to showcase student work. He is passionate about sharing and celebrating what students can do on the web. In each category multiple tools are shown, modeling creation choice for student projects. Google Spreadsheets allows you to insert gadgets to display data in a variety of ways. The following is a list of gadgets created by Google, though you can use a variety of additional third-party gadgets as well. A Difference: How would I prepare to teach a BYOD class? Setting up a classroom for technology devices. The focus is bring your own device, but this would work for any technology classroom. Some great ideas here. There is a little tool that is hidden in the help area of Google Calendar. Call it an Easter Egg if you will. It is Google Calendar’s Event Publisher. I shared ten skills I feel that students should graduate with. These skills don’t have anything to do with standardized testing, or memorizing facts, they are just what skills students need to be prepared for college and beyond. Thanks for the updates, Anyway if you have some problem with tax, Joseph Conrad Company offers advanced solution with satisfactory services dealing with Tax Strategies , Accounting Services , Profit and Growth Expert for your business. You may visit our website http://www.conradtax.com. Used wisely, technology empowers students to take responsibility for their own learning. In Leonardo’s Laptop, Ben Shneiderman provides teachers with a powerful framework, Collect-Relate-Create-Donate (CRCD), for designing student-centered learning opportunities using computers. In particular, Shneiderman’s CRCD framework emphasizes the importance of the social aspects of learning in generating creative work. In CRCD projects, students research information, work collaboratively to create a meaningful product that demonstrates their learning, and contribute that project to a larger learning community. Shneiderman designed the Collect-Relate-Create-Donate framework as a vehicle for preparing young people for a 21st century world where innovation, creativity, and collaboration will be more highly prized than retention and repetition. Thanks to AudioPal, anyone with a personal website or blog can easily add audio to their site. Engage your visitors by creating an instantly interactive website using AudioPal. Just create your message and embed your flash audio player. "During this two hour workshop, we will be exploring social media for classroom and professional development uses. In the afternoon, your team will develop a project or product based on our morning exploreations. " What a rockin' class! I worked with 7 superstars this past week. 7 wonderful teachers that gave up a week of summer to drink from a fire hose. It can be hard to process so much information (especially when it's 1 semester packed in to a week), but you graciously took it all in stride. It's so great that we have folks like you that are working in and soon to be entering Maine classrooms. What lucky students! And I learned so much from you. You blog posts and final reflections keep encouraging me to continue the crusade for great teaching and learning using technology. I hope to continue the conversation. See you in the blogoshpere and on Twitter. Keep up the great work! Thanks also to Lucy Gray for Skyping with the class and to Bill Ferriter for writing Teaching the iGeneration, a terrific book for first time learners to social media tools. Video Tutorials for some popular Web 2.0 sites: Animoto, Google Docs, Voicethread etc. "The Driver’s Manual provides a dynamic resource to help students and teachers use technology as an effective teaching and learning tool." Weather Graphs and Maps. Nice Mashup! Andrea Hernandez and I have set down to create a visual using the above model to include concrete examples from our school to illustrate to our teachers what tasks are considered in the substitution/augmentation/modification/redefinition stages. We want to be transparent in showing our expectations of basic tasks being led autonomously by the classroom teachers to teach and support students without the necessity of tech support to be present. At the same time, we wanted to emphasize the progression and show what transformational teaching and learning looks like. Welcome to the Computer Science Collaborative, a place where you can have students collaborate on solving computer science problems. We developed this site to connect teachers and students in small computer science courses around the globe. This project was designed as part of the CPATH Research Experience for Teachers program funded by the National Science Foundation. The more my son gets into social media, the more we talk about being responsible online. But a recent incident made me realize that I had completely overlooked a basic tenet of appropriate online behavior: manners. Just as I teach him to keep his elbows off the table, I have to teach him to be courteous in his digital life." "Using Blooms Taxonomy in education is a highly effective way to scaffold learning for the students. With the recent popularity and pervasive nature of iOS devices in school districts it is essential for educators to understand how to implement Blooms in the classroom using the apps that are available. "